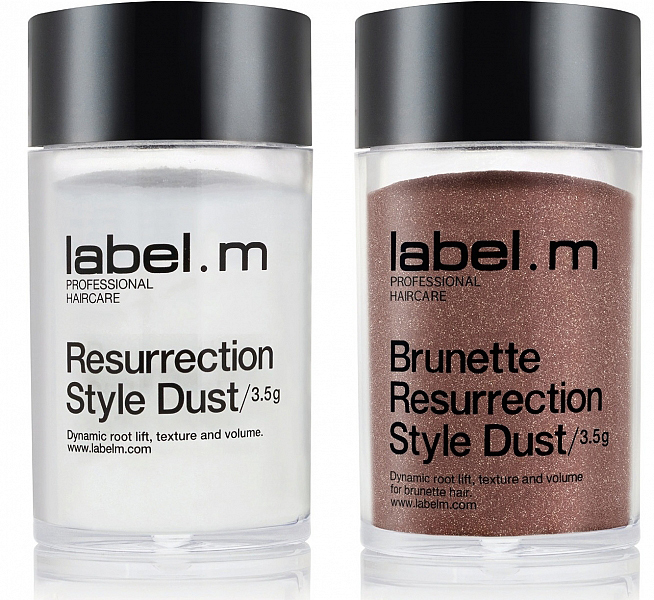 From our friends at Label M, Resurrection Style Dust is a real game changer when it comes to creating extra volume and oomph in the roots of any hair in need. Apply by sprinkling directly into the roots , distribute with finger, massaging into the hair and lifting at the same time and you will pretty much see a major increase in volume instantaneously. Style Dust come in two versions, a white one for blonde or fair hair and a brunette version to use on darker hair. This product is easy to use, instantly effective and fun, just like any good “Hero” should be!